Manage Muscle Pain And Run Your Best With Arnigel! Don't let cramping ruin your run. Nothing puts a dampener on a runner’s high more than a mid-run cramp, stitch, or other sudden ache. Not only will this ruin your run but, if left untreated, it can become a constant niggle. Fortunately, not every ache and pain needs long term treatment – a few simple stretches and some miracle balm for runners is all you need! 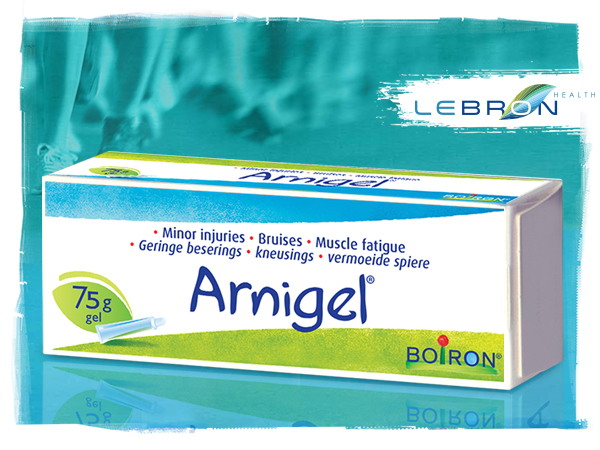 Arnigel is a quick absorbing gel used as a topical supportive treatment of minor injuries: bruises, sprains, tendonitis, muscle fatigue, pain, stiffness and swelling. Arnigel is easy to apply, absorbed rapidly and does not stain. Making use of only the best ingredients, Arnigel contains the active ingredient, Arnica Montana, which is produced from the fresh, whole, blossoming herb, guaranteed to ease muscle pain and stiffness. Arnigel is paraben-free, colourant-free, fragrance-free and free from additional preservatives. Can be used by adults and children from one year of age. Apply a thin layer of Arnigel as soon as possible onto painful area, rubbing gently until absorbed. Repeat application. Always consult your pharmacist of doctor if symptoms persist. Arnigel 100g of gel contains: Arnica Montana mother tincture 7g, Excipients: Carbomer, 10% sodium hydroxide solution, ethyl alcohol (96% v/v), purified water. Use in accordance with the principles of homeopathy. This unregistered medicine has not been evaluated by the SAHPRA for its quality, safety or its intended use.